At our Newport Depot we currently have one Blastcleaning Bay 55` Length x 16` Wide x 15`.3” Height. One Gritblasting Bay 35` Length x 18`Wide x 14`Height. In these two larger blast cleaning bays we are using recycled glass grit blast media. Which is a more environmentally friendly and cleaner to use than some other blast Media on the market. 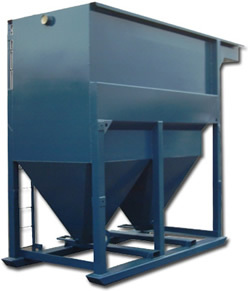 We also have a smaller Grit Blasting bay for more specialised items in which we use Other blast media such as Garnet. Newport Container Valet are a family business that has many years of experience in the Blast cleaning and Painting Industry. We have built a Workbase from repeated work from many Satisfied customers. Items that we blast clean & paint or refurbish are many and Varied ,We also have Welding facilities for the repair or fabrication of steelwork. Designed and Maintained by Websites Without Worry Ltd.